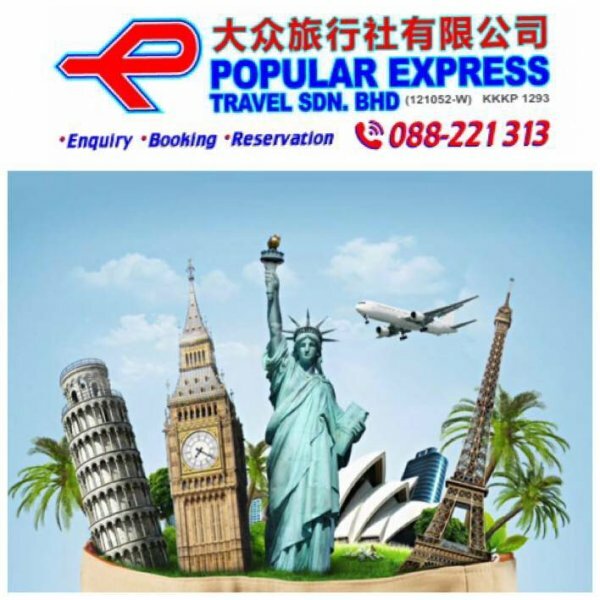 Popular Express Travel also known as 大 众 旅 行 社 有 限 公 司 is based in Kota Kinabalu, Sabah. 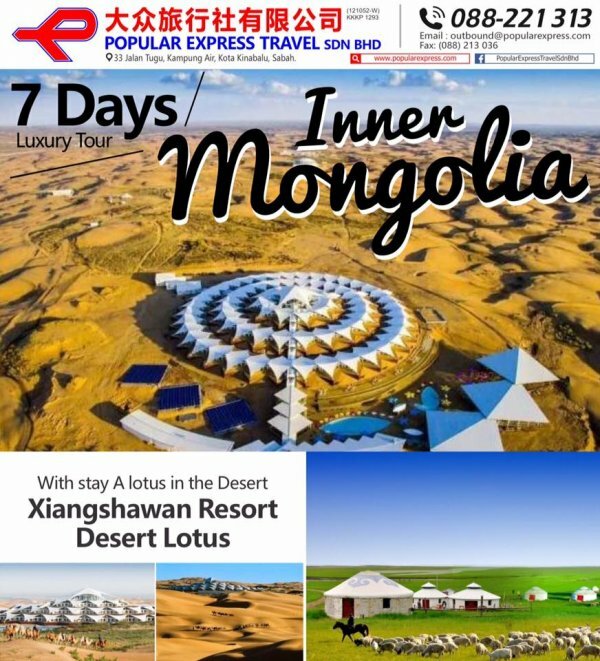 Call them at 6088 214 692 or email main@popularexpress.com to find out their latest promotion. Offering good and quality outbound tours with good knowledgeable tour guide in respective destinations. Good hotels and quality food provided in their outbound deluxe packages. Highly recommended.